Let’s all take a moment of silence as the month of July comes to an end. Even though fall is one of the best times of the year in the “Hub City,” summer months always seem to go by too quickly. But, before we say goodbye, here are a few ways that can make parting a little easier. These must-see summer happenings will make you feel like you’ve checked off all you need to welcome a new season. 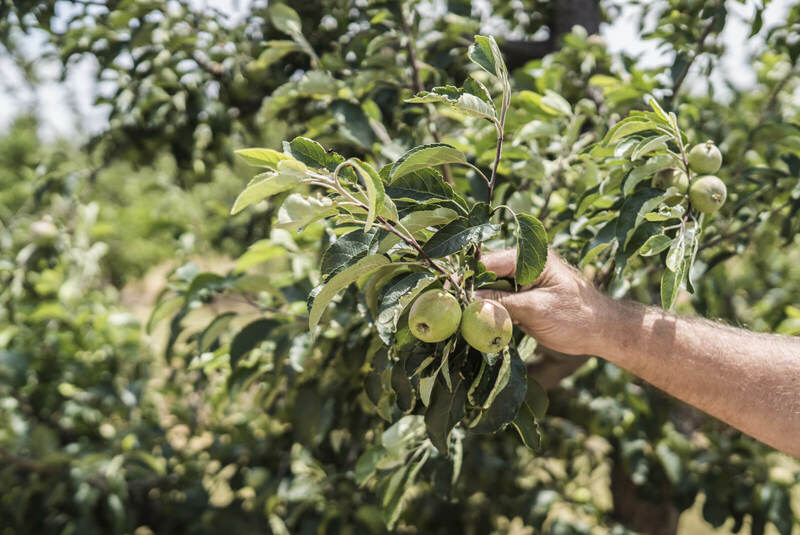 Michael Pollan says, “The garden suggests there might be a place where we can meet nature halfway.” What better way to spend an afternoon than picking your own organic apples at The Orchard? They’ll give you a bucket to fill as you roam the rows, plucking the sweet, crisp fruit perfect for pies, cobblers, salads and snacks. 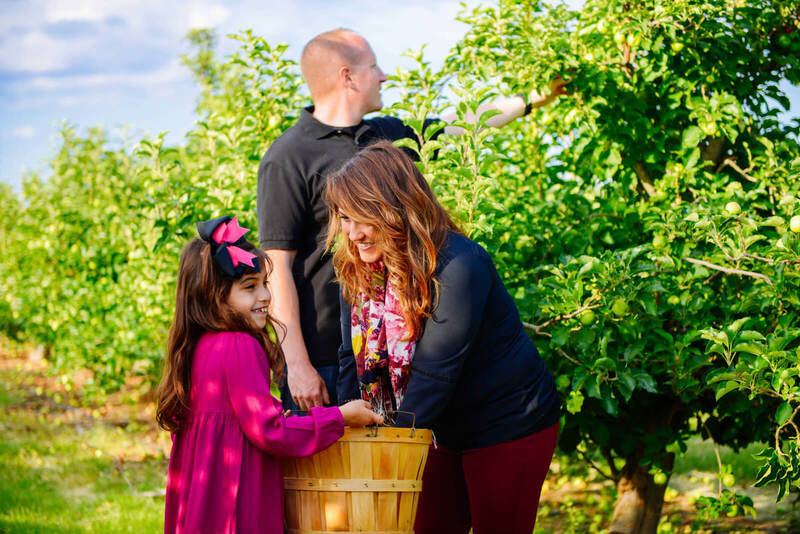 The Orchard has 18 varieties, including crowd pleasers like Pink Lady, Fuji and Granny Smith. These are sold (by the pound) with The Orchard’s raw local honey, fresh German apple cake, dried apples and other fresh goodies. To ease your end-of-summer woes, don’t forget to mark The Orchard’s Apple Butter Festival on your calendar – Saturday, Sept. 9 & Sunday, Sept. 10, 2017! Mackenzie Park truly is an oasis in the “Hub City.” With a disc golf course, horseback riding and outdoor sculptures, this park is home to art lovers, sporting enthusiasts and theme park fans. Play a round on one of the two 18-hole championship courses at Meadowbrook Golf Course, where you can also grab a bite to eat at Meadowbrook Bar & Grill. Then experience all the thrills and family-friendly fun at Joyland Amusement Park before visiting Lubbock’s furry friends at Prairie Dog Town. Need a break from the sunshine? Learn a thing or two about the history of farming and check out the interactive blacksmith shop at the Bayer Museum of Agriculture. Just down Canyon Drive is the largest collection of windmills in the world at the American Windmill Museum. Don’t miss a glimpse at models from the old Dutch style windmills to the modern wind turbine! What if I told you Lubbock has not one, but two sandy beaches? You’ll find both at Buffalo Springs Lake. While there is plenty of sun to soak up, that’s not all there is to do here. Hike tranquil nature trails, grill up some hot dogs for an old-fashioned picnic and head to Lakeside Rentals to rent a canoe, paddle board or Sea-Doo. If fishing is your game, the largemouth bass, catfish and crappie fishing here is sublime. 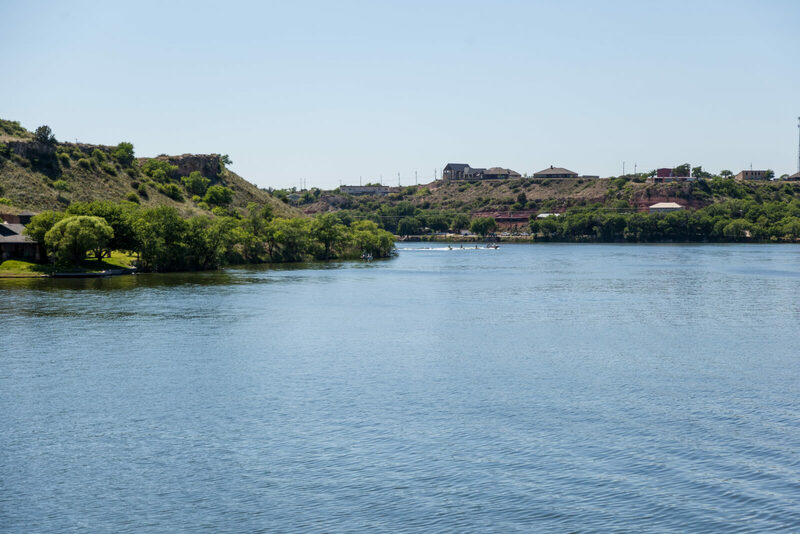 With hiking and water sports, you’re likely to burn a lot of calories playing at Buffalo Springs Lake. Fortunately, you don’t have to go far for some truly mouthwatering food. Enjoy some fried catfish or a juicy burger at Buffalo Bay Marina, which also hosts live music. Texas Tech University’s Leisure Pool is known as one of the top campus pools in the nation, and it’s one of the most popular places to cool off in the “Hub City.” With a 645-foot lazy river, 10-foot drop slide, lap pool, 25-person hot tub and a poolside cafe, it’s a great place to enjoy summer. If you don’t have a membership to the recreation center, you’ll need to bring a member along with you. However, you don’t need a membership to reserve The Stage (holds up to 50), or The Cove (holds up to 25) for parties or other special events. The Texas Tech Leisure Pool is open through late September/early October, giving you plenty of time to play in the water. 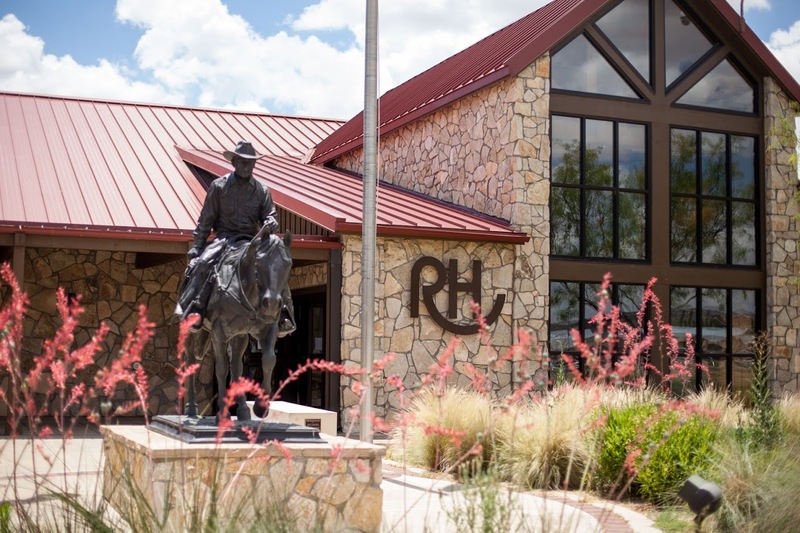 A stroll through the 19 acres of Proctor Historic Park at the National Ranching Heritage Center is more than just a nature walk. Along the paved path, you’ll see 49 authentically-restored structures, some dating back to the 1700s. Explore the trail and you’ll learn the history of the structures and how each play a role in the story of The West. Don’t forget to share with us how you’re celebrating the summer season in Lubbock using #LiveLoveLubbock on social media!